1 1/2" X 9" X 6"
I have cast many of these 6" pans with a variety of handles. The one pictured here has two mini-VW bugs as the handle. I have also made pans with speed racer handles, 280Z handles, firetruck handles, and '57 Chevy handles. 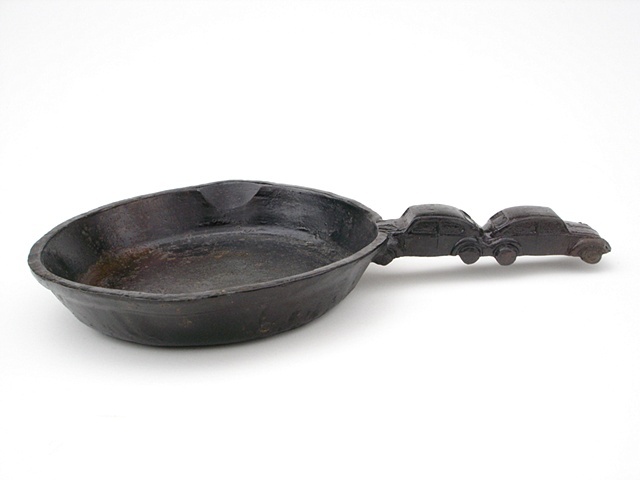 I season the finished iron casting with olive oil, which gives it a dark finish, and makes them suitable for cooking. Please note: This item is currently discontinued.